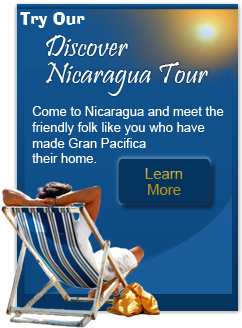 Visit Nicaragua! You'll be amazed by the geography, the people, the business opportunities, and the culture. This is a beautiful, fun, and safe country. If you've been to Nicaragua you know this already. If not, perhaps now is the time to experience it yourself. 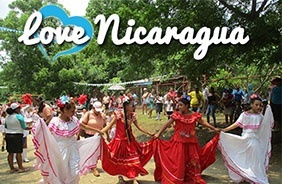 Independence Day in Nicaragua is celebrated with great fanfare and pride. The celebration consists of marching bands, patriotic poems, and lots of Nicaraguan flags. Christmas Season in Nicaragua is a celebration that everyone in the country looks forward to. It begins early in December with Holy Reverence and timeless tradition. It was going to be a small distribution, just 15 wheelchairs. The main event was the dedication of a beautiful medical clinic named, Roberto Clemente III, just outside the gates of the Gran Pacifica resort in Via Del Mar, Nicaragua. Several years ago, the Help Them Help Themselves Foundation built a small turtle sanctuary together with the support of the Gran Pacifica Beach and Golf Resort. I first set foot in Nicaragua in December 2014, with my two children in tow. From the moment of our arrival, it was love at first sight. 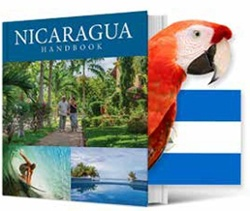 Nicaragua's independence became a fact in September 1821 and September is known as “Patrimonial Month” in Nicaragua. Nicaraguans begin the month by hanging flags outside their homes, and a torch run launches the celebration. The Celebration of Nicaraguan Independence Day happens on September 15th, and here at Gran Pacifica, many local families head to the beach as it is the last major holiday before Christmas. For this celebration, our SeaSalt Restaurante featured a delicious variety of tasty seafood dishes that are a holiday favorite, and our Meatgrinders Lounge served up kabobs and hamburgers for a different kind of celebratory flare. In the spirit of celebrating, Christmas is just around the corner! This is the season that everyone in the Nicaragua looks forward to, especially the children. Christmas tradition here has some similarities with Christmas in America, but in Nicaragua the season begins early, and is full of Christmas cheer and celebration of The Virgin Mary and Jesus’ birth. Families and close friends will gather together and celebrate Christmas with gifts, food, fun, caroling, and many other festivities. Just before midnight on Christmas Eve, church bells will ring to beckon worshippers for a large Christmas Eve Mass. Fireworks ensue afterwards to carry on with the spirit of the season. 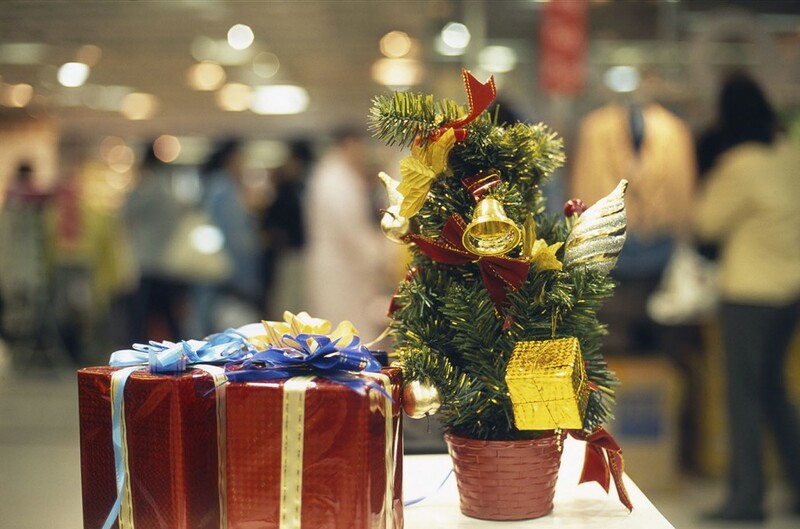 The spirit of celebration is also a good time to give back. 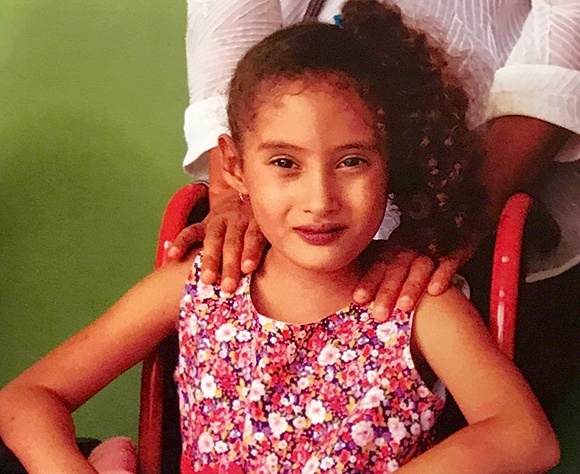 During a small wheelchair distribution at our beautiful medical clinic, Roberto Clemente III, a mother and her little girl named Yada were spotted sitting in one of our smallest wheelchairs. She is just 5 years old and her young life has been full of challenges so far, but it is changing in some very positive ways now thanks to many caring people. Several of our staff members have pledged to follow up with her mother on her progress. We are holding out high hopes for Yada. 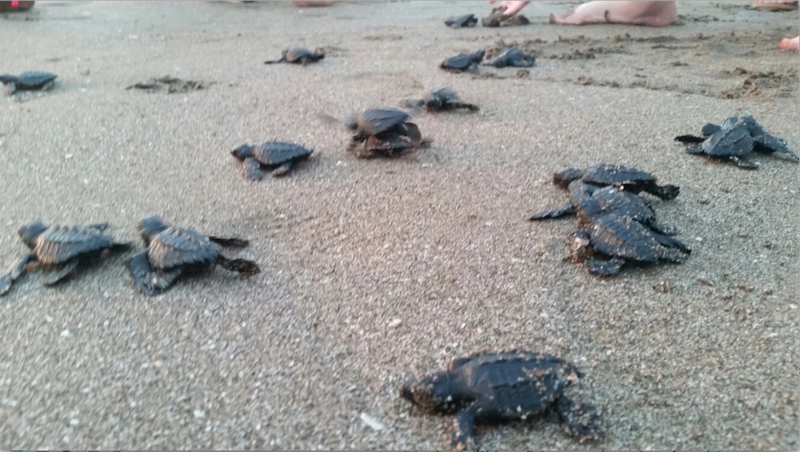 Our spirit of giving back continues with a rewarding update on our Turtle Sanctuary in Nicaragua. Several years ago, Gran Pacifica assisted the Help Them Help Themselves Foundation build a small turtle sanctuary. With your donations and support we have gone from seeing over 80 eggs hatch our first year to outgrowing ourselves this year with over 1,300 eggs in the sanctuary. Now Help Them Help Themselves is building a new and larger sanctuary closer to the hotel area so more families can learn about these wonderful creatures and help in bringing back the turtle numbers to sustainable levels. Finally, one of our very own marketing consultants was captivated by her visit to Nicaragua back in 2014 with her 2 children. She and her family were able to spend some relaxing and quality time in the sun with each other, as well as participate in a charity event at a school in one of the local villages. They visited the school with the Help Them Help Themselves charity team and shared some very touching and memorable moments with these amazing children. She shares her memories with us.